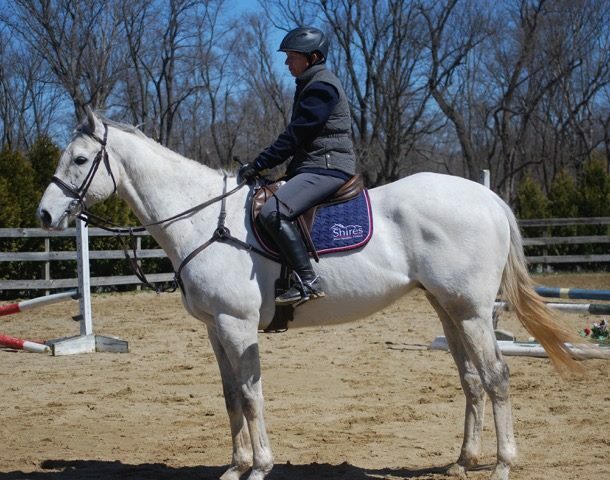 Abby Powell is a native of Northeastern Massachusetts who splits her time between commuting into Boston for work and caring for and riding her rescue Mustang x Arab mare, Maggie. Buck Davidson and Jak My Style. Photo by Jenni Autry. Some horses are destined for greatness: they’re well bred, have a picturesque upbringing, and world-class training right from the start. This is the story of a horse who had none of those things — a horse who could have fallen through the cracks but instead fell into the right hands and with the help of the right people has found himself as one of Buck Davidson’s entries for the 2019 Land Rover Kentucky Three-Day Event. Jak My Style’s origin story begins inauspiciously at an estate sale in New Jersey. The owner of a racing farm had passed away, leaving his possessions, horses included, in some manner of disarray and needing to be liquidated. One of those horses, “Jak”, had been race-trained, but never made a start — or even been tattooed and registered — because he kept dumping his exercise jockeys. 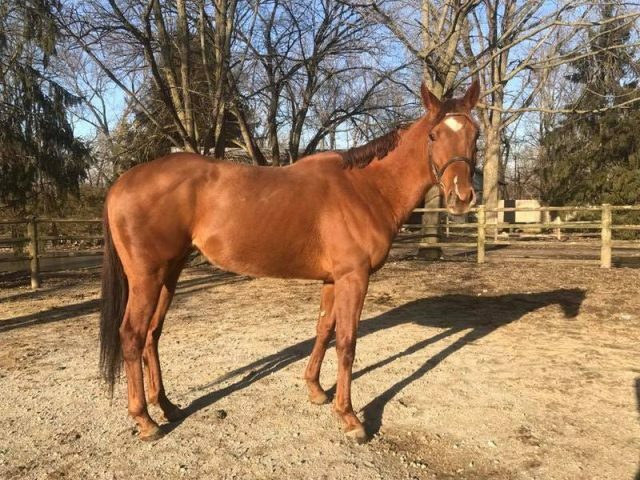 Breeding unknown and without papers, the three-year-old bay gelding was purchased at the sale by a local New Jersey family interested in the hunter/jumpers. Enter Matthew Bryner, who was working as a rider in the area and recently relocated to a barn just down the road from Jak’s new owners. Matthew began giving the daughter of this family lessons on another horse and eventually they asked him to come look at the now 7-year-old Jak, who they called “kind of naughty” and had been out of work for the past few years. Reminiscent of his early days on the track, Jak had taken to dumping the daughter. A hunter he would not make. Matthew saw that the horse had talent so he took him on, purchasing him inexpensively, and brought him to his own farm down the road … but Jak didn’t want to stay at Matthew’s farm at first. Around the same time as Matt took the horse on, the song Some Nights by fun. was making waves on the radio and struck a chord with Matthew. The horse had always gone by the barn name ‘Jak,’ but without papers or a tattoo it was up to Matthew to bestow a registered show name upon him and Matthew settled on a line from the song. Matthew Bryner and Jak My Style at Red Hills in 2015. Photo courtesy of Matthew Bryner. Jak eventually settled into his new home, but he still maintained his naughty streak for a while yet. It would appear that Jak listened to Matthew that day. While the pair still had to overcome some quirks at events: spooking at the first fence, running away with his jockey, and running out at corner combinations, for example. Jak began to figure out the job at hand once they begin running Preliminary, settling in to the routine of competition and seeking out the fences on course. Jak never incurred another cross country jump penalty with Matthew after that. Matthew recalls a time where he brought Jak to Debbie Adams’ Flora Lea Farm for some schooling. Debbie watched him school for a while and offered to buy him on the spot, but Matthew wasn’t quite ready to part with the gelding yet. “He was always a bit tricky on the flat and always a bit looky in the show jumping, so we always had to balance out the schooling leading up to an event, but when he was out schooling he would just jump anything — it was like it was in his breeding,” says Matthew. Matthew went on to run two Advanced and two CCI3*-S with Jak before deciding it was time to offer him for sale. Justine Dutton and client Kat Cuca, a first-time upper-level horse owner who began riding as an adult in her thirties, took an interest in the horse. 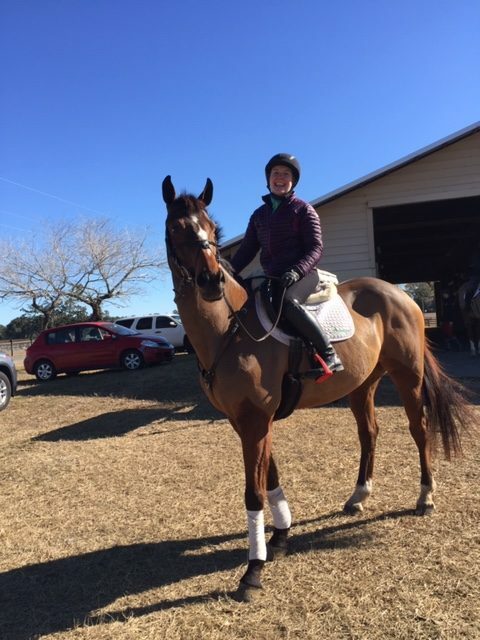 Kat didn’t set out to get involved in eventing when she began riding but fell into in thanks to the horse she was riding at the time and was soon hooked. “I had fun supporting Justine at events, along with Patti Weiser who owned Justine’s upper-level horse Huck Finn so when someone said we should go see this horse, I figured let’s try it!” recalls Kat. Justine Dutton and Jak My Style. Photo by Jenni Autry. Kat certainly thought that Jak was plenty talented, and Jak seemed to turn on the charm to seal the deal. “He stuck his head out of his stall and put it on my shoulder and I thought he was so sweet,” remembers Kat. And so, over the next of couple years, Jak went on to be campaigned through the CCI4*-L level by Justine under Kat’s ownership, up until the Nations Cup at Great Meadows International CCI4*-S in 2017 when the pair came to grief at the final water and suffered a rotational fall. 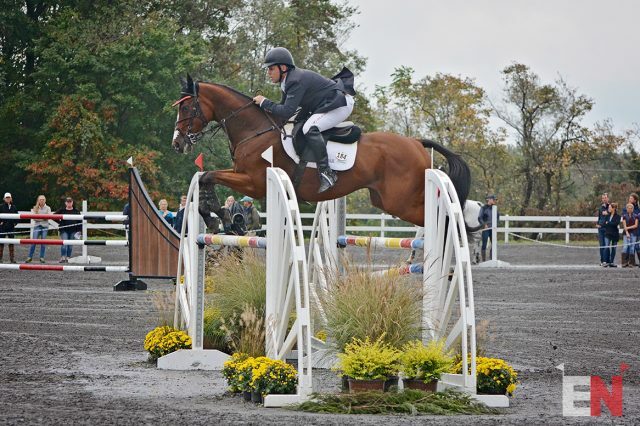 Buck Davidson then took over the ride, and his first stop with Jak was a get-to-know-you ride in the Open Intermediate at Millbrook the following month, followed by the CCI4*-S at Plantation Field, the CCI4*-S at Morven Park with a second place finish and then finishing the 2017 season with the CCI4*-L at Fair Hill finishing 6th, which thrilled Kat. Their 2018 season started out strong with a second place finish in the Advanced at Rocking Horse Winter II H.T. and Kat recalls that they were initially aiming the horse at Kentucky 2018, but something didn’t feel quite right in Jak after his first few runs of the season and they discovered a small ligament strain in one of his legs. Jak never showed a true unsoundness and despite not competing at any point during the remainder of 2018 he stayed in consistent work all year. “It probably did him some good because he had some time to get stronger and fitter and get confirmed with the things he was doing,” Buck says. Guess who won the Advanced at Chatt?? Kudos to the amazing @buckdavidson and Team BDJ. I’m dying of happiness for my boy ❤️❤️❤️. Next up #LRK3DE 😳 PC: @shannonbrinkman and advice on how to make it pop for a t-shirt! 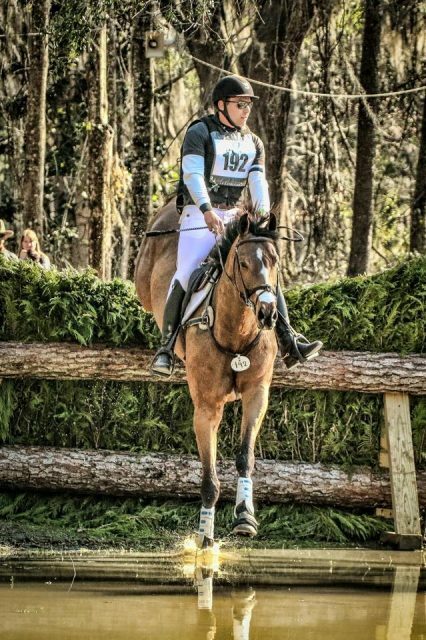 Buck and Kat planned for Jak to have a slow start to the 2019 competition season, beginning with a run at Prelim and then at Intermediate before stepping back up to the Advanced level at the Carolina International CCI and H.T in March. With Jak feeling good, Buck had planned to let the horse really run and see what he could do in his first start at the Advanced level in over a year, but the ground there ended up being harder than expected so Buck decided to dial it back. The pair still finished strongly in seventh place at Carolina, but Buck wanted to get the horse out once more for a good run and took him to the Chattahoochee Hills H.T. earlier this month. “We lucked out that at Chatt Hills the ground was perfect and he did it very, very easily,” says Buck. Easily, indeed — with a double-clear show jumping round and the fastest time across country of the day, Buck and Jak earned the horse’s first blue ribbon at the Advanced level under Kat’s ownership. He even made some friends along the way: during a hold on course Buck brought Jak over to the ropes and let spectators pat him — a testament to how well Buck knows the horse and to the easy-going personality and love of attention that had blossomed with him. “He might not be the one that everyone goes ‘Oo’ and ‘Ah’ over, but he’s a trier and he’s a competitor and he’s a super, super honest horse to ride and that’s all you can ask,” Buck said. So honest, in fact, that Kat has even been able to ride Jak herself, with Buck’s encouragement — something she never expected to be able to do with an upper-level horse — taking him for trot sets and even having a few flat lessons on him. Owner Kat Cuca rides Jak for the first time. Photo courtesy of Kat Cuca. The horse who was originally known for dumping his riders is now known for his great mind and love people, demanding cuddle time with the working students that feed him and turning Kat’s non-horsey husband, Roberto, into one of his biggest fans and supporters — so much so that Kat gifted him with an ownership share for Christmas 2017. Matthew certainly hasn’t been able to shake him; he’s remained one of Jak’s biggest fans. Matthew and Kat have stayed in touch ever since his sale and text each other whenever he has a good run. He’s thrilled that the horse who he credits for opening many doors for him in his equestrian career landed with a wonderful person who loves him so much. And the next stop for the unregistered Thoroughbred with the inauspicious start? The biggest event in the country, and Matthew says he can’t wait to stand at the ropes and cheer Jak, Buck, and Kat on. Go Eventing and Go Jak! Cooley Master Class travelled very well and will be released out of quarantine later today. He’ll have a couple of quiet days while we’re at Kelsall before we fly out to join him! Just one week until Kentucky cross country day! We’re always extra-pleased when we have several entries from overseas to cheer for. This year we welcome Great Britain’s Oliver Townend and Cooley Master Class (defending champions!) , in addition to fellow countrymen Piggy French and Quarrycrest Echo. Marcelo Tosi and Genfly are flying in from Brazil, and, all the way from Australia we have Hazel Shannon and Willingapark Clifford. Be sure to give them a big Kentucky welcome next week! Saturday Video: Hazel Shannon and Willingapark Clifford have flown in all the way from Austrailia for Kentucky and have have been stateside now for a bit over the week. They have made their temporary home at Valley View Farm in Midway and seem to be enjoying their last few training sessions! 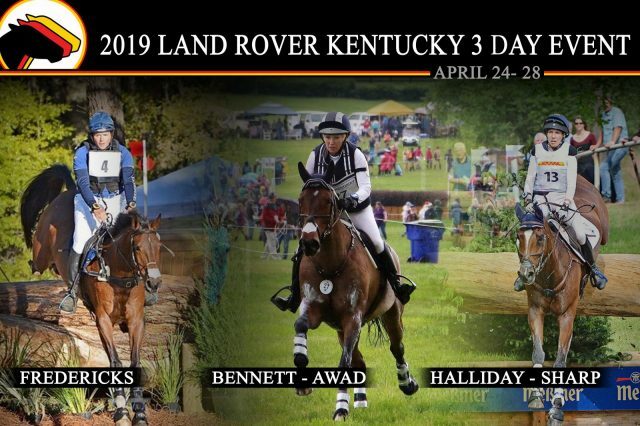 The countdown to the 2019 Land Rover Kentucky Three-Day Event, presented by MARS Equestrian, is in full force now! Since the entry list was released, we have a look at the full Thoroughbreds who will be contesting the event. You’ll recognize some of the names as now five-star veterans and others as making their debut at the level. Political Farce. Photo via MidAtlantic Horse Rescue. This gorgeous gray isn’t just a pretty pony — he’s a serious athlete who has achieved war horse status with 54 career starts and close to $200,000 in earnings. 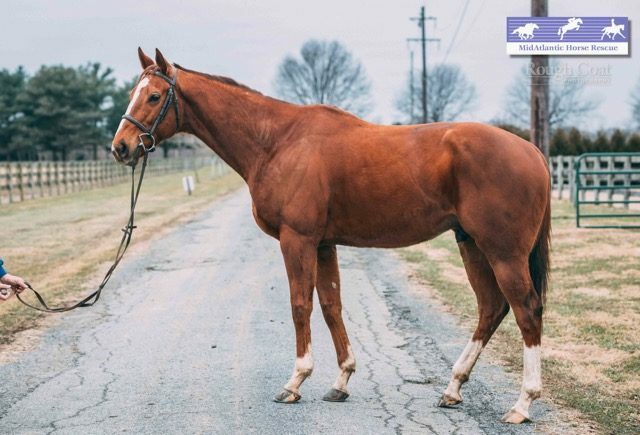 Political Farce came to MidAtlantic Horse Rescue straight from his track connections who want to see him go on to be successful in a second career. This fellow is a forward ride and has already shown that he’s brave and eager to the jumps. Once he figures out how to loosen up and work through his back he’s going to be a stunning mover as well. The MAHR staff think he’ll well suited to eventing with his sturdy build, bravery, and good brain. View Political Farce on MidAtlantic Horse Rescue. Religious Ed. Photo via New Vocations Racehorse Adoption. With his fun-loving personality and easy-going demeanor, “Ed” is a barn-favorite at New Vocations. He’s a laid back guy who gets along well with other horses and really enjoys attention from people as well. Ed is a consummate professional who has a been-there-done-that attitude and really tries to please his rider. He goes well both inside and outside of the arena and has lovely gaits. Ed raced 34 times and earned over $86,000 in his career on the track. His last race was at the end of August last year and during that race suffered a tendon injury. Thankfully, Ed was given the appropriate rest and rehab time and is fully recovered and cleared to resume training. He should have no limitations in a second career. His last set of ultrasounds, taken in early March, are available to for approved adopters to view. View Religious Ed on New Vocations Racehorse Adoption. Filly Named Billy. Photo via Friends of Ferdinand. 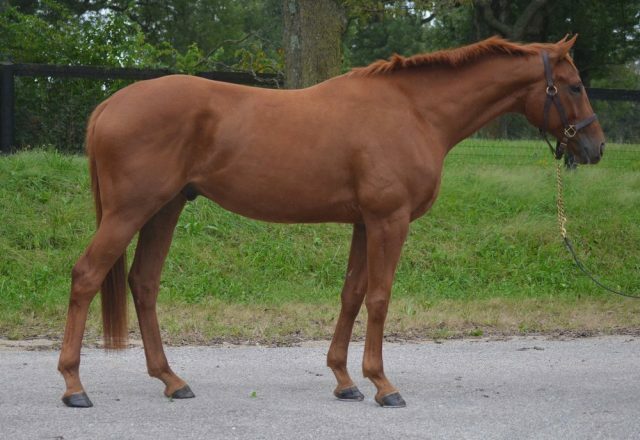 Filly Named Billy (PASS RUSH – WITH KID GLOVES, BY ANNOUNCE): 2015 15.3-hand Indiana-bred mare. As you may have guessed based on the name, “Billy” is indeed a mare. She also happens to be a super-sweet one at that. Billy is a relatively new acquisition of Friends of Ferdinand and is just starting out in the program, but the staff is already loving her friendly personality. Within her first couple of rides she’s shown enviable movement and the potential to go in any direction. She is lightly raced wth only five starts. View Filly Named Billy on Friends of Ferdinand. Total Saddle Fit sponsored rider Tamie Smith had a pretty stellar weekend at the Twin Rivers CCI and Horse Trials in Paso Robles, California, taking the top two spots in the CCI3*-L with Alex Ahearn’s Mai Baum and Judith McSwain’s Fleeceworks Royal plus a fourth place finish with Ruth Bley’s En Vougue. Tamie had another one of her top mounts out at Twin Rivers as well. The Badminton-bound Wembley — who is officially off the waitlist! — took a spin in the Advanced combined test as a final prep outing before shipping overseas. 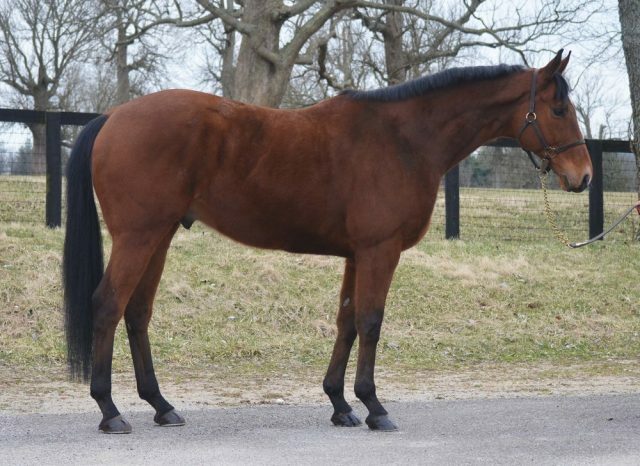 Wembley is actually no stranger to the English countryside, as the sixteen-year-old KWPN gelding was originally ridden by Tim Price before being purchased and imported to the U.S. by Kevin Baumgardner. Tamie and Wembley scored a very respectable 31.4 in the dressage and jumped a beautiful double clear show jumping round this weekend. We can’t wait to cheer them on at Badders! The draw for @kentuckythreedayevent is out and Cooley Master Class seems very excited to be going as number 44 (out of 55) this year! We are now just two weeks away from the Best Weekend All Year and we’re busy as bees over here at EN prepping all our Kentucky coverage for you. We hope you’re as psyched as we are, because we can’t wait! A Young Cancer Patient Made A Wish To Meet A Single Horse. The Equestrian Community Brought Her More Than 70. It’s big news for the Maker’s Mark Secretariat Center (MMSC) — until now they have solely operated in facilities within the Kentucky Horse Park, but late last week they announced the opening of their first satellite facility. Located at The Ranch, LLC in Frankfort, Illinois, the new location will allow more horses to be re-schooled for second careers through their their top-notch program. Kid From New York. Photo via Maker’s Mark Secretariat Center. Kid From New York is a serious head-turner and he’s perpetually dressed to impress with that shiny black coat. Kid is turning into an elegant athlete and has a great attitude to go along with his good work ethic. He’s the kind of horse who’s up for a challenge and tackles everything with a sense of humor. We previously featured Kid in a January edition of OTTB Wishlist and really can’t believe he’s still available. Since then he’s had his first taste of the show ring, easily popping around a small jumper course at a local schooling show with great ease and a beautiful cadence. Watch video of his round here. View Kid From New York on Maker’s Mark Secretariat Center. Pacific Surf. Photo via Maker’s Mark Secretariat Center. Pacific Surf could definitely be channeling the surfer dude vibes with his attitude: he’s chill and laid back, yet always up for an adventure. Things seem to come easy to him and he appears to be a natural athlete. “Pacific” raced 13 times and didn’t particularly ‘wow’ at the track, but it might be that he just hasn’t found the right sport yet. He has a lovely trot with a natural toe-flick and the beginnings of collection under saddle. Take him home and he’ll be your best adventure buddy! Pacific is another horse we’ve previously featured — this time all the way back in October of last year — and he’s made great strides in his training in that time. Since then he has been fox hunting and has started jumping 2’6″/2’9″ courses with ease. View Pacific Surf on Maker’s Mark Secretariat Center. Iron Mane, Photo via Maker’s Mark Secretariat Center. This one is for you, Game of Thrones fans. “Davos” may not be the next heir to the Iron Throne, but he may well be able to steal your heart. According to the MMSC staff he’s an “uncomplicated, comfortably forward, honest ride” and he has the potential to be a great amateur mount given that he’s also forgiving of mistakes and eager to please and try new things. Davos had a short but somewhat successful career on the track, earning over $60,000 in 9 starts, so he’s no athletic slouch either. He seemed to really enjoy his first baby cross country schooling session and he’s also still 2019 RRP Makeover eligible as well! View Iron Mane on Maker’s Mark Secretariat Center. It’s baaack! Horses will once again gallop the 2018 WEG grounds today as much of Capt. 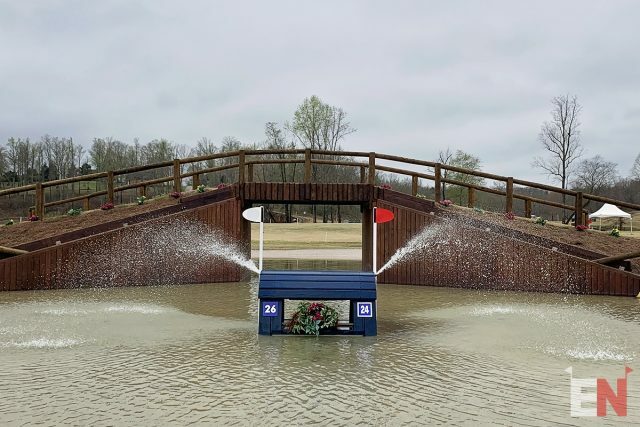 Mark Phillips’ track for the 2018 FEI World Equestrian Games has ben repurposed for the CCI4*-S course at The Fork at Tryon International Equestrian Center. For pairs using this as a Kentucky prep-run it’s going to be a fabulous warmup over a world class course. Fingers crossed that those darn boats don’t cause the same trouble! 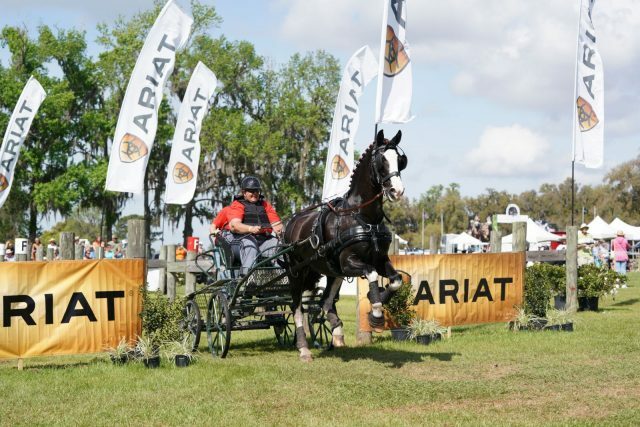 If you haven’t already checked out Jenni Autry’s course walk, click here! National Holiday: National Beer Day! 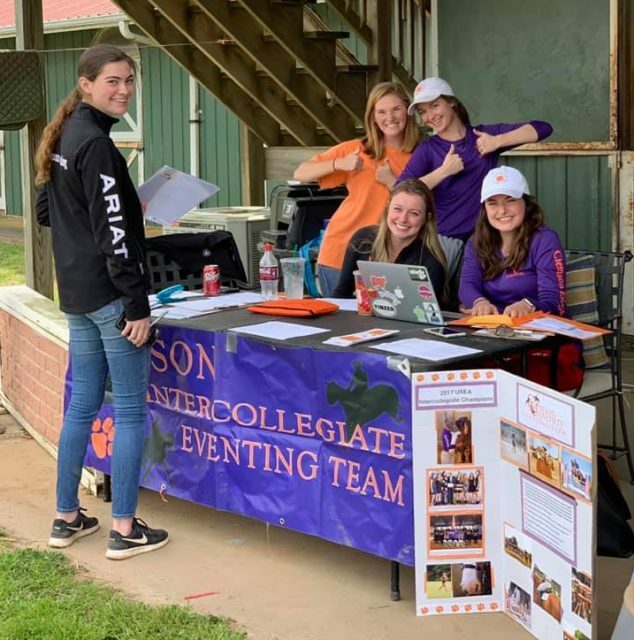 The Clemson Intercollegiate Eventing Team hosted a Combined test last weekend. Photo via Clemson Intercollegiate Eventing Team on Facebook. I can’t even tell you how much I wish Intercollegiate Eventing was a thing when I was in school (Ugh, am I dating myself?) but it’s just awesome to see how much the program has grown over the years. Today is National Student-Athlete Day so let’s take a moment to give a shout out to all the student-equestrians out there! It takes a heck of lot of effort and major time-management skills to balance school with athletics of any sort, and, we may be a little bias, but we think horse sports really take it to the next level. After all, eventing takes two athletes. At The Fork at TIEC? Join Eric Dierks for a free CCI4*-S cross country course walk today at 3 p.m. The walk leaves from the startbox and will last approximately one hour. Nupafeed is one of the sponsors at the 2019 Stepping Stones to Success Eventing league, and we had a word with Samantha Noble on at the Wexford Equestrian Centre on Wedneday. They’re not old … they’re more mature, and that’s not a bad thing! There are some definite benefits to adopting and restarting an older horse. For one, you don’t have to worry about starting them too young and since they’ve been around the block a bit already they’re often a little more laid back than your average youngster right off the track. Personal Delivery. 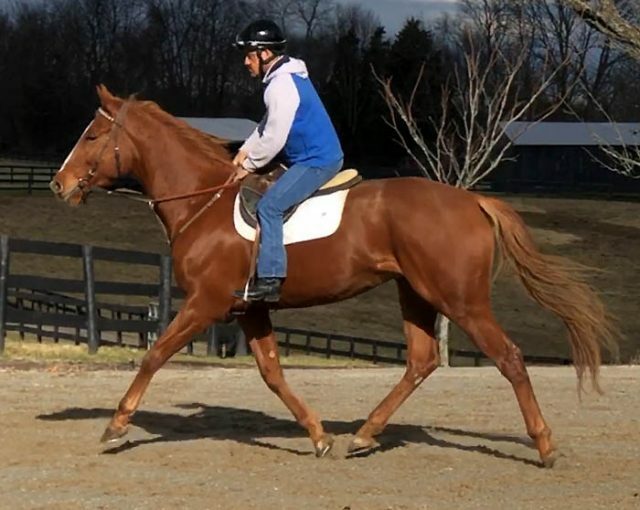 Photo via New Vocations Racehorse Adoption. This stunning gelding is pretty much as close as you’re going to get to a turn-key sport horse from something off the track. “Percy” has constantly impressed the New Vocation’s staff, including their veterinarian, from the moment he got off the trailer. He has a gentle and kind personality and has befriended some of the very youngest visitors to the farm. This slightly-older-but-no-less-useful gentleman has an incredible work ethic and is chock-full of athleticism. He is certainly not past his prime and is already learning new thing, like going on the bit, very quickly. View Personal Delivery on New Vocations Racehorse Adoption. Armature. Photo via CANTER Chicago. 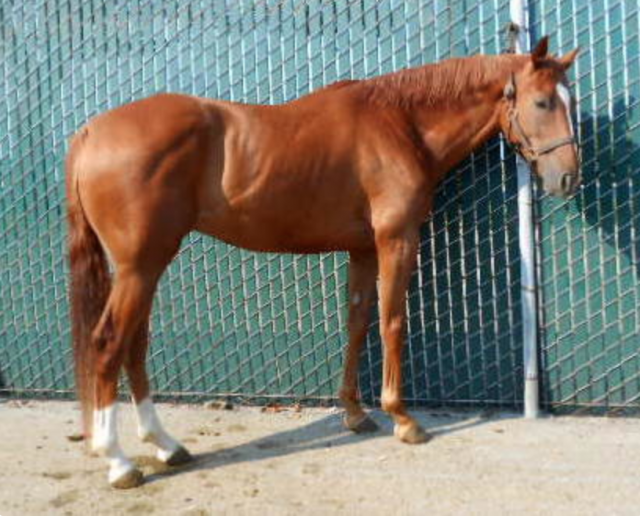 Armature is a unique find: he’s an athletic Thoroughbred with a puppy dog personality in a Warmblood-type body. This well-bred gelding sold for $150,000 as a yearling and with his solid and correct uphill build, you can probably see why. Armature did have an old ankle injury but was given the appropriate rehab time and is now sound. His jog video shows a nice big swinging walk and a lofty trot. He absolutely relishes attention and loves begging for treats! Located at Hawthorne Race Course. View Armature on CANTER Chicago. Hooping. 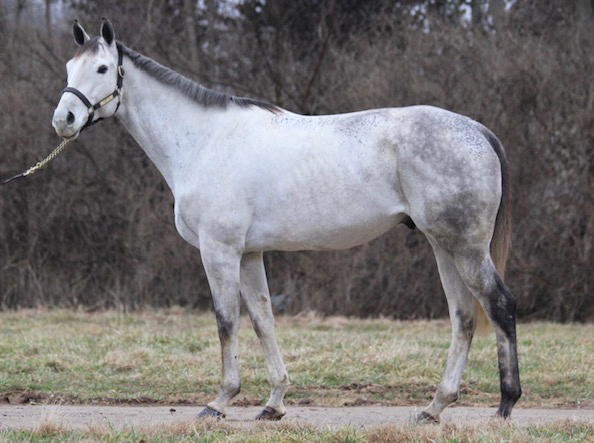 Photo via New Vocations Racehorse Adoption. It’s not every week we have a Virginia-bred horse to feature, so that just makes “Henry” here extra-unique. The New Vocations staff say that Henry has presence wherever he goes, and it seems that he’s earned it having reached almost $120,000 in 50 starts. After such a long racing career Henry was given some much-needed time to just be a horse and he would love to continue to have lots of turnout time in his next home. Henry is reportedly “a lot of horse” but with his athleticism and smarts he definitely has the potential to make someone an amazing sport horse partner. 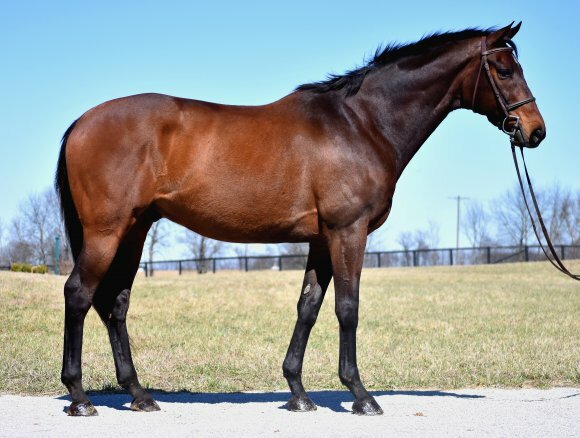 View Hooping on New Vocations Racehorse Adoption. Jonty Evans and Cooley Rorkes Drift at Belton. Photo by Tilly Berendt. It was one year ago that Jonty Evans and Cooley Rorkes Drift took home top honors in the Grantham Cup CCI4*-S at Belton Horse Trials. It was notably their first international win, but it was also something more … it was a win for the worldwide eventing family that rallied to support Jonty’s gargantuan crowdfunding effort to keep the ride on his horse of a lifetime. We all know what happened next — a fall on cross country at Tatersalls Horse Trials in June left Jonty in a seven-week-long coma, fighting for his life. The odds were stacked against him, not just to ride again, but even to regain consciousness in the first place. Tenaciously and triumphantly, Jonty has returned to the saddle. To the delight of the crowd at — and much to his own delight at well; check out his ear-to-ear smile — Jonty and “Art” appeared in an exhibition display on Saturday. 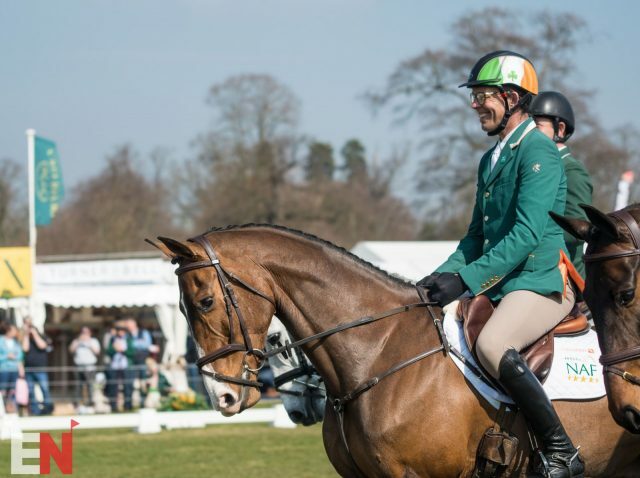 After a tour of the main arena flanked by his fellow Team Ireland riders Padraig McCarthy and Austin O’Connor, they demonstrated their flatwork and showed off just how far Jonty has come by popping over fence. This weekend we turn our attention in two different directions as we look to the USA’s West Coast and across the pond to the UK for the year’s first international events in those areas. It’s lovely to have our West Coasters out there running and jumping again at Galway Downs, and it’s so neat to have a sneak peek of some of the UK’s top Badminton contenders as they get out and stretch their legs in this early season run at Belton. Entries have been announced for The Land Rover Kentucky Three Day 5* April 25th -28th. We are excited to be cheering on Team Nupafeed® Riders, Clayton Fredericks riding FE Ophelia, , Hawley Bennett-Awad riding Jollybo, and Liz Halliday-Sharp riding Deniro Z. Best of luck to all the entries we are looking forward to an exciting weekend! A Smile for Ellie. Photo via CANER PA. If you really want a tall one, you’ll want to check out this absolute behemoth. At 17.2-hands tall, this 7-year-old could probably just step over most of the fences early on in his retraining. He may tower over you, but A Smile for Ellie is a real sweetheart with a great disposition. He’s also a homebred and his trainer has had him his entire life and can give his adopter lots of background and details on him. At 49 career starts and close to $90,000 in earnings, A Smile for Ellie nearly earned war horse status and clearly has the athleticism to do well in a second career. View A Smile for Ellie on CANTER PA.
Guyanese. Photo via CANTER PA. If “all legs” isn’t the perfect descriptor for this horse, then I don’t know what is. Guyanese won a single race, but never finished better than fifth in any of his other 16 starts so he is retiring fairly lightly raced with no known soundness issues or vices. Thankfully he’s a gentle giant and his trainer, who is pictured in the photo, said she’s never had a problem handling him. With some groceries and some more time to mature, Guyanese could blossom into into a really stunning sport horse. View Guyanese on CANTER PA.
Tintinnabulation. Photo via CANTER PA. Photos don’t do this lovely girl justice — you’ll need to go check out her jog video on her CANTER page. Tintinnabulation has great bone and a balanced build. She’s also a sweetheart in her stall and her trainer says she’s a lady to work with. Over the years and between her 24 career starts, Tintinnabulation has spent some time turned out at her owner’s farm and has seemed to enjoy the farm life. She has some desired sire lines for sport horses, with A.P. Indy and Rubiano as great-grandsires. View Tintinnabulation on CANTER PA.
All eyes were on the Cloud 11~Gavilan North LLC Carolina International CCI4*-S, CCI3*-S and Advanced over the livestream courtesy of EQSportsNet, but we can enjoy some of the national Intermediate divisions too thanks to this compilation that RNS Videomedia put together of the Intermediate water complex. Lynn Symansky and Mary Ann Ghadban’s Under Suspection, a 15-year-old Holsteiner mare, added only six cross country time penalties to their dressage score to take home the win in the Open Intermediate division on 27.4. You can watch them tackle the water at 0:17 in the above video. The Intermediate Rider division was won by Katie Lichten (2:37 minute mark) and 13-year-old Hanoverian gelding RF Luminati owned by Harold Lichten. The pair also added only cross country time to their dressage score and their double clear show jumping round on Sunday clinched them the win on 38.2. I know equestrian decor is very much a thing and I myself am guilty of having a few ribbons and other horse trinkets around the house, but this … this take it to a whole new somewhat questionable level. Thanks to Elisa Wallace’s Horse Hubby, Timothy Harfield for sharing this, uh, gem. 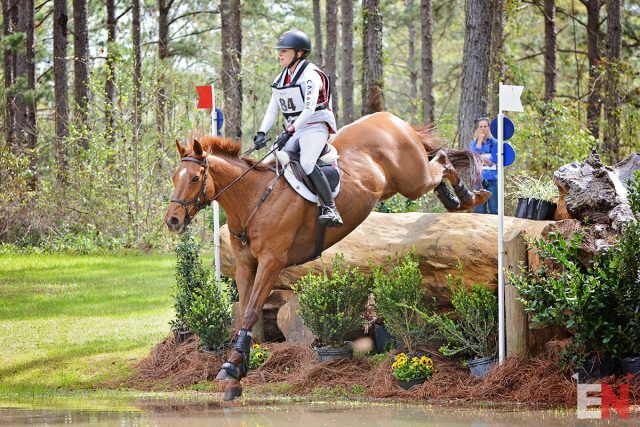 Saturday Video: Liz Halliday-Sharp and Fernhill By Night jumped a double clear round yesterday to hold the lead in the CCI4*-S at Carolina International yesterday. She also moved into second place on Deniro Z with another superb double clear. Can she clinch a win across country today? Everyone loves to ogle over the chestnuts and bays with chrome; they’re just so flashy and fancy. But when your horse comes in from the field caked in mud up to their hocks those white socks aren’t looking so pretty any more, are they? Why not make life a little easier for yourself and get a horse with brown legs anyway. Not to say you don’t still have to groom them, but while your barn buddy is still slaving away trying to polish up those socks, you’ll already be out in the arena warming up. Alltheleavesrbrown. Photo via Maker’s Mark Secretariat Center. This son of the 2008 Kentucky Derby and Preakness winner Big Brown has had an interesting racing career and may be more well-traveled than you! In his 43 races, “Brown” has run at 12 different tracks spanning from Pennsylvania to California. His career seems to have been a bit hit or miss: he has a number of wins and good placings, but also did not finish (DNF) a few races. Each DNF seems to just be a result starting too fast and ultimately being overcome by the field. It doesn’t seem to be anything to worry about though — the race charts note that he was eased, loped across the wire, and walked off the course just fine each time. 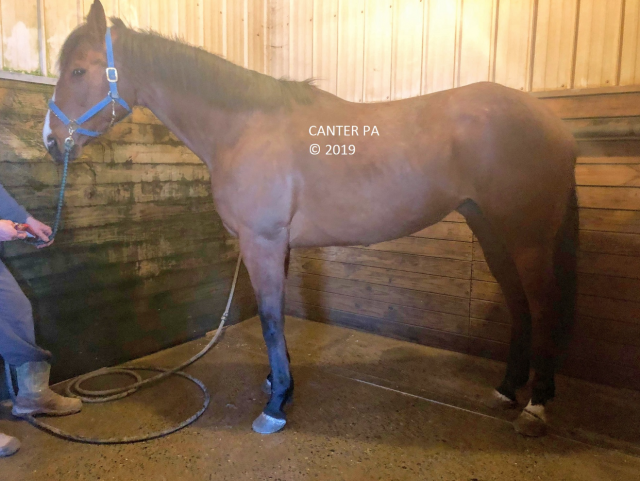 Brown’s last race was at the end of February (so he is 2019 Thoroughbred Makeover eligible) and has since retired sound and made his way to MMSC where he was treated to some spa time and bodywork. The MMSC staff has found that he’s an “enthusiastic and quick learner.” Make sure to watch the video of him at liberty and check out that hock action! View Alltheleavesrbrown on Maker’s Mark Secretariat Center. Belle Ame. Photo via Second Stride. 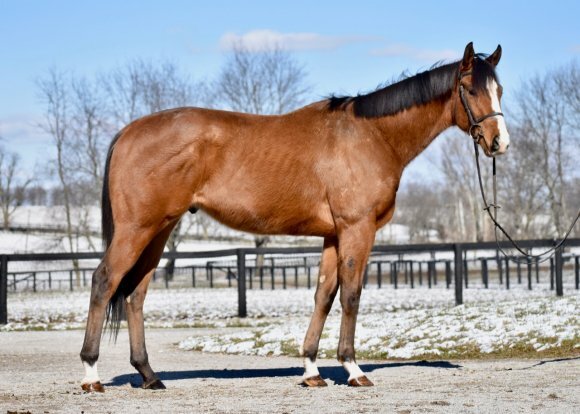 We featured this young filly about a month ago in our Second Stride Inc. edition and can’t believe she’s still available! 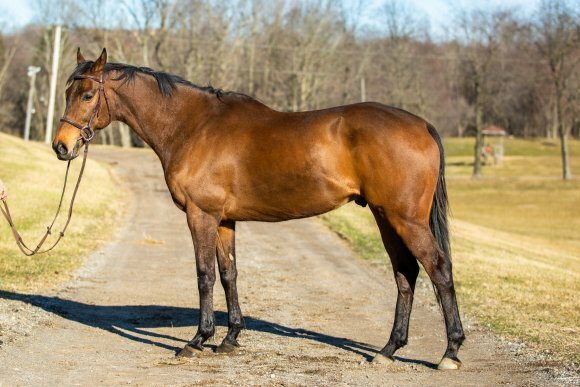 Belle Ame is unraced but does have published workouts with the last being in June 2018 which makes her 2019 Thoroughbred Makeover eligible. Her vet exam upon arrival at Second Stride was clean, and she’s an athletic mover. This mare has a solid build and a nice sloping shoulder, plus she’s forward-thinking yet has a good brain. She has bravely popped over a small jump under saddle and was pretty pleased with herself afterward! View Belle Ame on Second Stride Inc. Scattered Dreams. 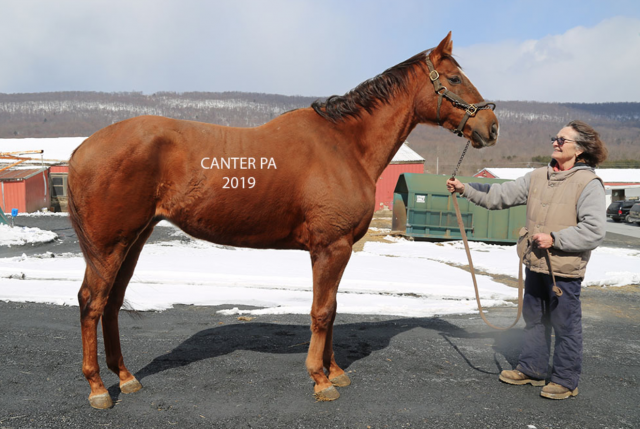 Photo via CANTER PA.
With 50 career starts and over $125,000 in winnings, Scattered Dreams has definitely earned his war horse status. Scattered Dreams has been a steady money maker for his connections, but he’s started to place further down in his races last year so they’re retiring now while he still has plenty to offer in a second career. 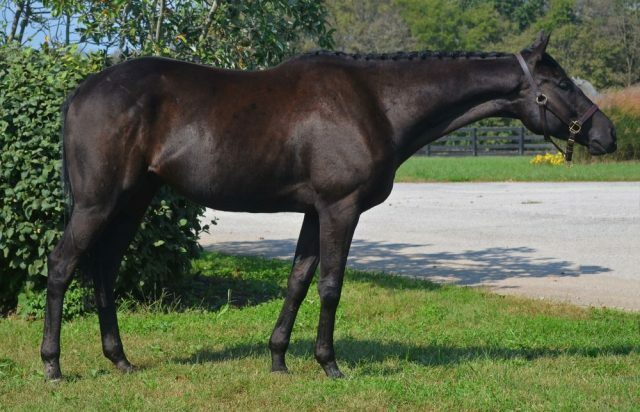 This big-bodied athletic gelding could certainly make a sturdy eventer, and even though his jog video was filmed on a windy and icy day you can still see the potential for some nice and floaty movement for good scores in the dressage too. View Scattered Dreams on CANTER PA.
Those fuzzy ears. That bitty little tail. Those adorable baby bucks. Squee! Can someone tell me what size girth a Clydesdale might wear and if Total Saddle Fit might make one that big? Asking for a friend …. It’s never a bad time to give a little shoutout to all the long-suffering horse husbands/ significant others out there. Granted they probably hopefully knew what they were getting into, but they really do put up with a LOT and one that supports you and stands by you while you pursue this crazy eventing thing is really worth their weight in gold. Don’t have a significant other? No worries – more barn time for you! Nupafeed customers, sponsored riders, and owners all had a fantastic week at the Live Oak International in Ocala, Florida. Team Nupafeed rider Scott Keach was had great clear rounds in the World Cup Qualifying jumpers. Nupafeed co-owner Bonny Fisher helped and navigated for customer Ellen Epstien to a 4th place finish in the Intermediate single horse division.-Co owner Scott Adcox placed 2nd in a competitive Intermediate Pair Horse Division. There were many more Nupafeed horses that also did well this past weekend. Congrats to all of you. Charisma, Doesn’t Play Fair, Jollybo, and of course Theodore O’Connor — they’re not necessarily all Thoroughbreds, but they are just a few examples of great event horses (plus a pony) that are all under 16.0 hands. Just because a horse is short of stature doesn’t mean they’re short on heart, and if you want to increase your chances of getting a horse with a big heart then you’re looking in the right place if you’re looking at Thoroughbreds. Need evidence? Look no further than Tilly Berendt’s incredible history of ex-racehorses at Badminton. This week we’re featuring OTTBs that are 15.3-hands or less. Don’t count these guys out — they might just jump the moon for you. Six Belles. 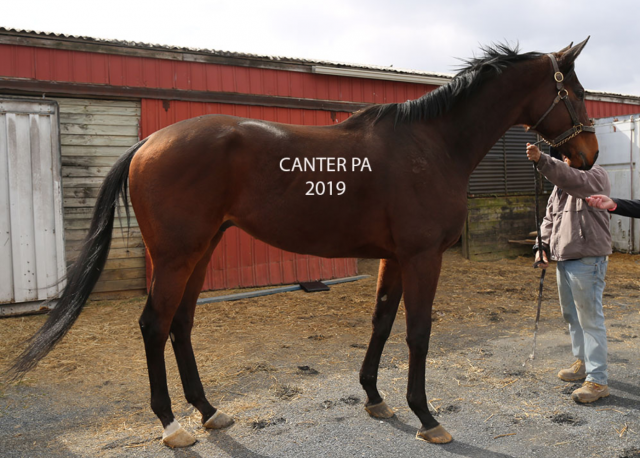 Photo via CANTER PA.
No significant relation to the famous Eight Belles, this youngster is simply not showing enough potential to succeed on the track and remains unraced. His last published workout is from about a month ago, making him 2019 RPP Thoroughbred Makeover eligible. 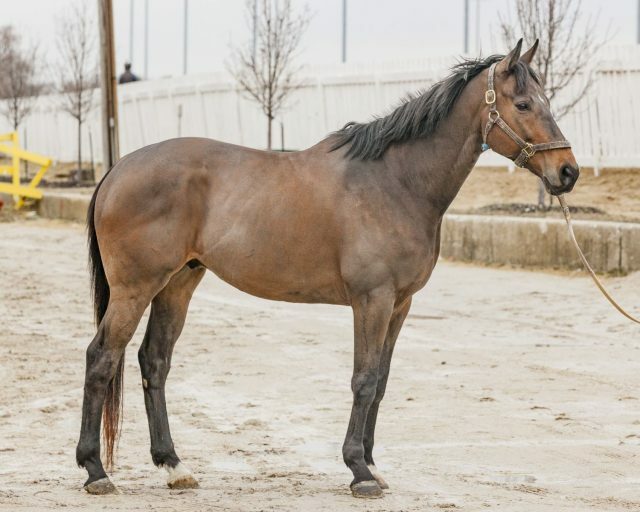 Six Belles appears to be the perfect package for someone looking for a young horse with minimal wear and tear to restart. He’s a well built and beautifully put together gelding and it even looks like he has some nice solid feet. View Six Belles on CANTER PA.
Gozer the Gozerian. 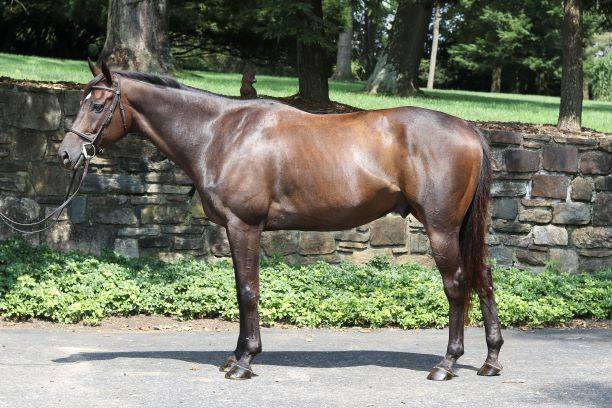 Photo via New Vocations Racehorse Adoption. As if his GhostBusters-referencing name wasn’t any indication, Gozer the Gozerian is one cool dude. However, he doesn’t live up to his name in the sense that he’s not a Destroyer. This Gozer is quite the opposite — he’s a no-drama low man on the totem pole, who really just enjoys getting along with both people and horses. Gozer has already been restarted under saddle and has shown that he is a smart, sensitive, and trusting mount. He’s also already learned a few neat things, including flying changes and how to go in a war bridle (just a piece of leather in the mouth.) He’s also a fine example of the fact that there’s no guarantee of success as a racehorse despite great breeding. Gozer has sire lines tracing to A.P. Indy, Fappiano, and Two Punch, all of which just so happen to be desirable sport horse lines as well. View Gozer the Gozerian on New Vocations Racehorse Adoption. Woods Dancer. Photo via CANTER CA. Woods Dancer last raced in the fall of 2017 after retiring soundly from a short career of five starts. 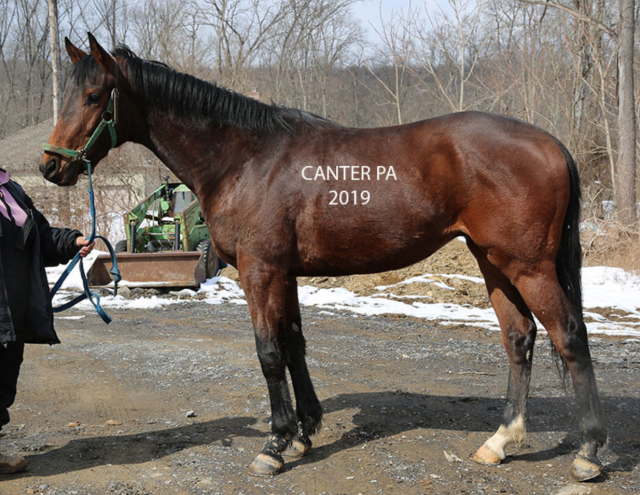 His connections have kept him at the track with plans to make him a pony horse, but haven’t really gotten around to it and have decided to sell him instead.Woods Dancer has good clean legs and no vices. Having not had a job over the past year, he’s ready and raring to go. He’s only 15.1-hands, but don’t count him out. You know who else is 15.1-hands? Libby Head’s Sir Rockstar, and he went on to complete Badminton! View Woods Dancer on CANTER CA. We all know the incredible successes that Michael Jung and his horses have achieved in eventing (you know, little things like the Grand Slam of Eventing and back-to-back individual Olympic gold medals) — is the same level of success on the horizon for him in show jumping? Yesterday, Michi celebrated the biggest success in his show jumping career to date: a win in the CSI4* Grand Prix at Germany’s Signal Iduna Cup aboard fischerChelsea, a 11-year-old Westfalian mare (Check In X Argentia E, by Argent) owned by Sabine and Klaus Fischer and the Jung family. I don’t speak German, so I have no idea what the commentator is saying in this video (although I think I caught ‘Hallelujah!’ at one point) but watch his winning jump off round and let his riding speak for itself! 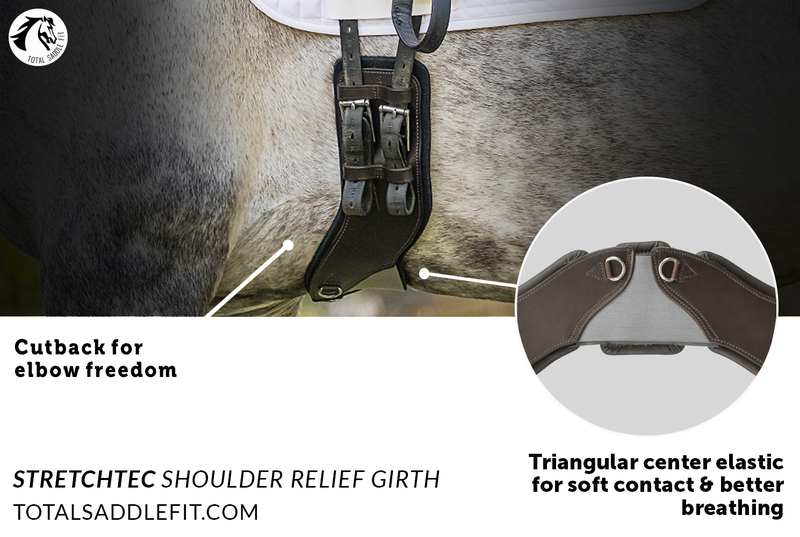 Ya’ll I have a genius little #EventerSolution for you! 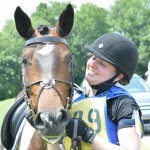 Are you a busy rider or groom with multiple horses’ ride times to keep track of on a single day? 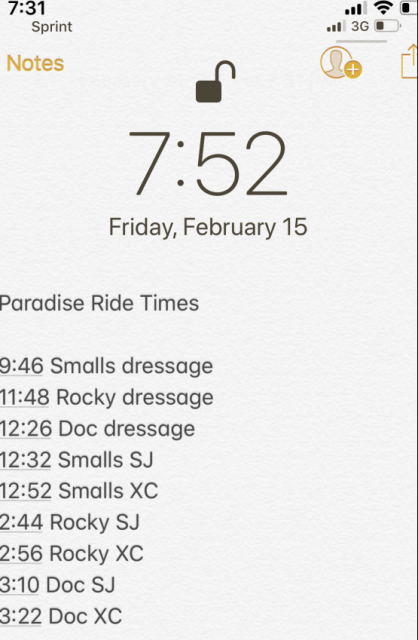 Use your phone’s notes app to write out your ride times (I find it helpful to organize them chronologically), take a screenshot, then set said screenshot as your phone’s lock screen wallpaper for the day and you’ll never be caught getting your times confused again! Not gonna lie, was pretty proud of myself for thinking of this one. Saturday Video: Hang on, Doug! Thanks to our wonderful sponsor Cosequin Equine, we have the privilege of presenting you with a handful of OTTBs from deserving aftercare organizations each week. 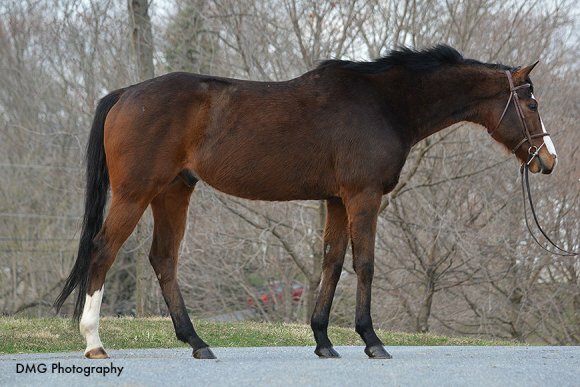 This week we’re extra thrilled to present you with three horses from a new-to-this-feature organization, MidAtlantic Horse Rescue Inc. (MAHR) of Warwick, Maryland. Co-founders Beverly Strauss and Ginny Suarez are two lifelong horsewomen on a mission: to give as many ex-racehorses as possible a second chance. Their efforts began long before MAHR was officially formed; as former racehorse trainers themselves both women were familiar with the sad reality that not all horses end up in good situations once they are done racing. For 30 years, Beverly and Ginny have been buying and pulling ex-racehorses from bad situations, including livestock auctions, evaluating them, and restarting them in new careers. Both women draw upon their wealth of experience in the eventing, dressage, foxhunting, and racing worlds and as Pony Club graduates, with their A and B ratings respectively, to set the horses that they bring in on the right track to success. In 2002 they turned their efforts into a 501(c)3 non-profit organization which has achieved accreditation by the Thoroughbred Aftercare Alliance. 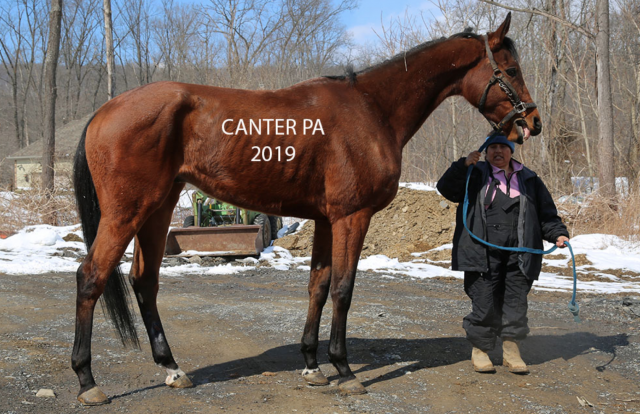 Over the years they have re-homed thousands of OTTBs, some of which came to them directly from the their race connections, others through different aftercare organizations, and more that they tracked down in auction pens. Frasero. Photo via MidAtlantic Horse Rescue courtesy of Rough Coat Photography. Frasero began his racing career as a three-year-old in his native Argentina and raced there for a year in graded stakes races before being imported to the U.S. In the States, he raced in claiming and allowance races and amassed over $94,000 in 38 starts. Years ago in his career, Frasero did have a condylar fracture on his right front but it was repaired surgically and he continued to race on it without problems. Frasero is retiring soundly after a long racing career and should not have any limitations going forward. 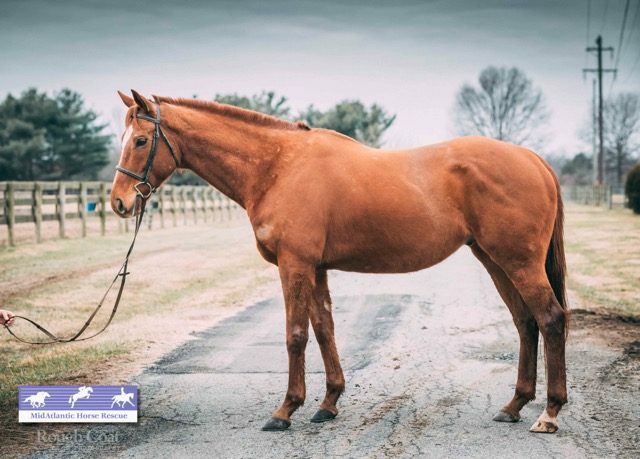 This 2019 RRP eligible horse came to MidAtlantic Horse Rescue through Maryland’s Beyond the Wire program and was such a favorite in his trainer’s barn that they packed a bag of mints for him for the journey to MAHR. Frasero is a forward horse without being hot and a good mover. He’s a kind boy who would really like a best friend with which to take on a new job. View Frasero on MidAtlantic Horse Rescue. Godspeed Tommy. Photo via MidAtlantic Horse Rescue courtesy of Rough Coat Photography. Look past the rough winter coat and funny racetrack haircut — Godspeed Tommy is going to blossom into a fabulous sporthorse. “Tommy” has it all: a solid uphill build, good feet with a solid heel, and three great gaits with an especially awesome canter and naturally active hind end. Tommy spent four years on the track and made 36 starts and nearly $60,000. He is currently in training at MAHR’s satellite facility down south, but remains 2019 RRP eligible. He’s proving to be a brave and self-confident riding horse and he’s going to be a super fun one for someone to bring along! Located in Salley, South Carolina. View Godspeed Tommy on MidAtlantic Horse Rescue. Speedy Caz Steel. Photo via MidAtlanic Equine Rescue. Perhaps taking a horse fresh off the track and training it up for the Thoroughbred Makeover isn’t for you, and that’s 100% totally fine. Consider then an RRP graduate, such as Speedy Caz Steel here. “Speedy” last raced in late 2016 and then went on to compete in competitive trail and dressage at last year’s Thoroughbred Makeover. He has now also started fox hunting and has shown that he is a confident jumper and just as well-mannered outside of the ring as he is in. View Speedy Caz Steel on MidAtlantic Horse Rescue. Just take a look around at the crowd on cross country day at the inaugural $50,000 LiftMaster Grand-Prix Eventing at Bruce’s Field! 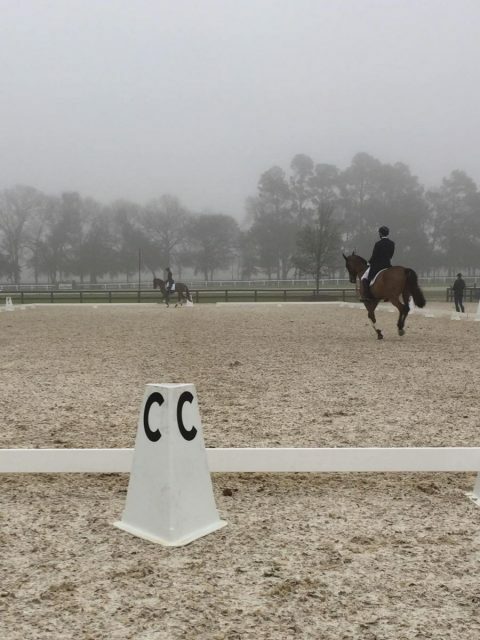 While Friday was a foggy, drizzly day for dressage and show jumping, it looks like the spectators showed up in spades for a sunny cross country day on Saturday. With much of the course in view from the main arena, all the action was very easily accessible to spectators as they lined the ropes eagerly awaiting the next horse to whiz by. With such prime viewing locations available, spectators were able to capture some great up close video. I think I see a couple future eventers getting hooked right then and there! Scroll down for some great clips captured by attendees and don’t forget that you can watch full replays of the live stream here and catch up on all EN’s coverage using the links below. Had an absolute blast at the inaugural Grand Prix Eventing! Barry was such a star…at least in the jumping phases, lol! Here are a couple of clips from today. I will post more about the competition tomorrow. Thanks to all the organizers, volunteers, sponsors and riders for creating an awesome event! Misty morning dressage warmup in Aiken. Photo by USEA Volunteer of the Month, Margaret Potorski. During yesterday’s livestream, Jenni made a great point about events such as this weekend’s Grand-Prix Eventing at Bruce’s Field and the previously run Wellington Showcase: not only do they provide a little more exposure for our sport, but it’s helpful to the riders and horses to have an early-season (think, pre-Kentucky) event with lots of atmosphere that they can bring their top horses to. Since the Wellington Showcase hasn’t run for the past two years, it’s great to have something similar back on the calendar. Doesn’t hurt that it’s benefiting local charities either! Saturday Video: Looks like we have a dressage judge in the making! Coach Nox giving dad some pointers. 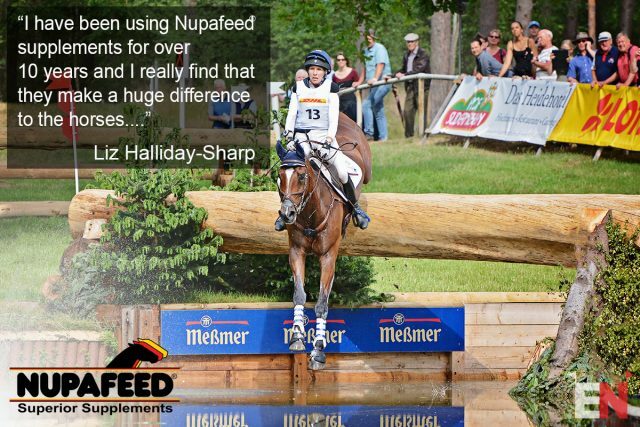 Nupafeed® USA would like to welcome Elisabeth Halliday-Sharp to Team Nupafeed® USA. Liz was sponsored by Nupafeed® UK for years even before Nupafeed® Supplements were available in the USA. We are very excited to add her and her lovely string of horses to Team Nupafeed® USA and look forward to a successful future together! !